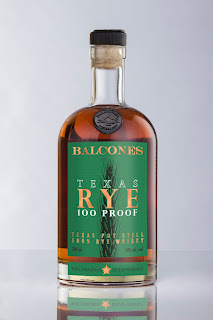 The multi-award winning, Texas based Balcones Distilling, has kicked of its 10th Anniversary year celebrations with the launch of a new rye expression. Balcones Texas Rye 100% Proof (50% ABV) has been produced using a 100% rye mash bill, made up of 80% Texas Grown Raw Elbon Rye, and three other specialty Ryes from Weyermann Specialty Malts. In addition to the new Balcones Texas Rye 100% Proof bottling which will join the brands core range of bottlings, there will also be a limited-edition Cask Strength (62.5% ABV) variant. This year marks a decade since trail-blazing Balcones Distilling exploded onto the craft whisky scene, founding the very first Texas whisky tradition, whilst establishing a totally independent and pioneering approach to whisky making. The world-class Texas Distillery will be marking its 10th Anniversary with a range of limited-edition releases to the US and UK markets alongside a series of bespoke events hosted at their Waco-based home. Rye will remain the focus for the first part of the year at Balcones. Jared and his distilling team will then continue to release a series of 10th Anniversary commemorative bottlings throughout the second half of the year. Each one of the decade celebration releases have been carefully selected to tell another chapter within the Balcones story. A total of 10 expressions will be showcased throughout the year - in addition to the Distillery’s usual annual releases – and will be available in limited quantities within key US markets and in the UK. Balcones Texas Rye 100% Proof and Cask Strength Limited Edition, will be available in March from specialist retailers. RRP’s (tbc).